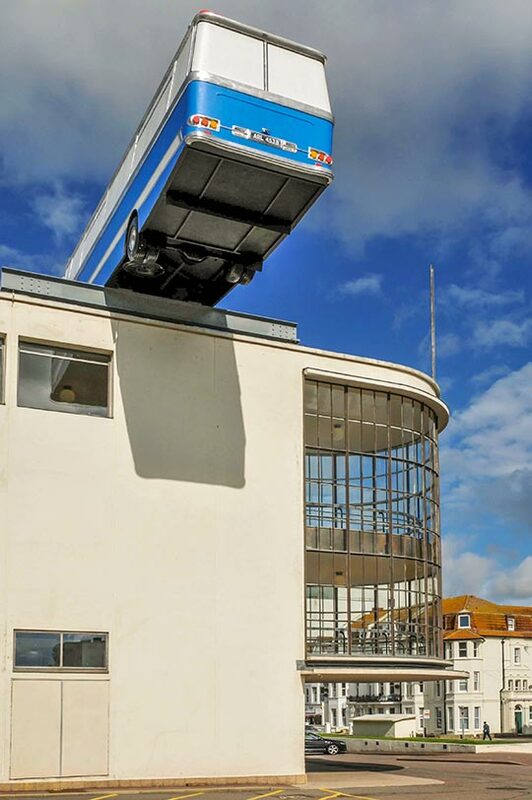 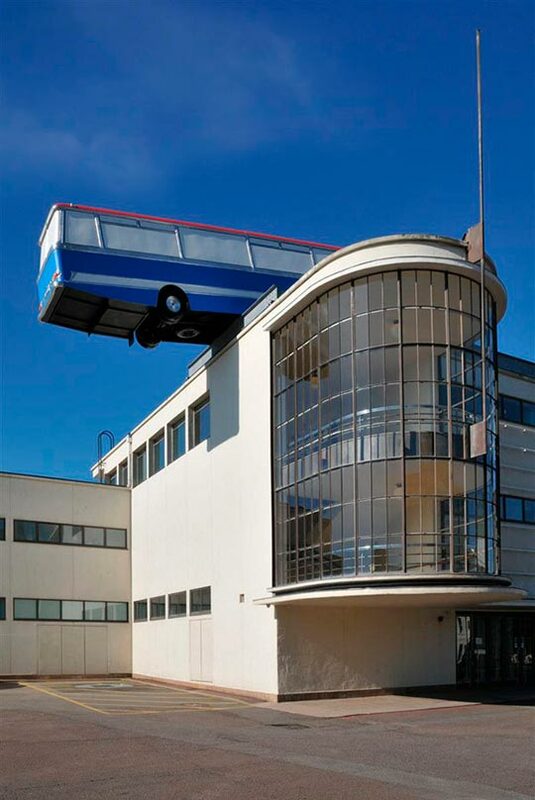 Inspired by the final scene of the classic British heist movie The Italian Job, sculptor Richard Wilson has balanced a full-sized replica coach on the very edge of the roof of the De La Warr Pavilion. 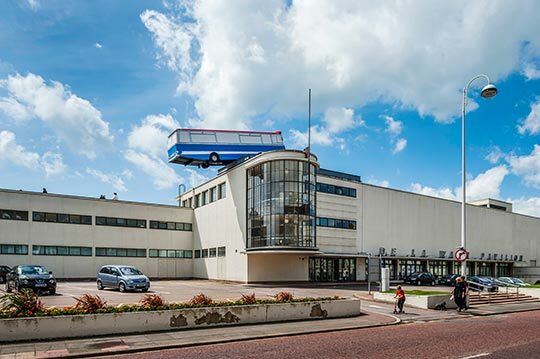 This cinematic moment acts as a flag waving work not just for Bexhill but for the nation as part of the Cultural Olympiad 2012 Festival. 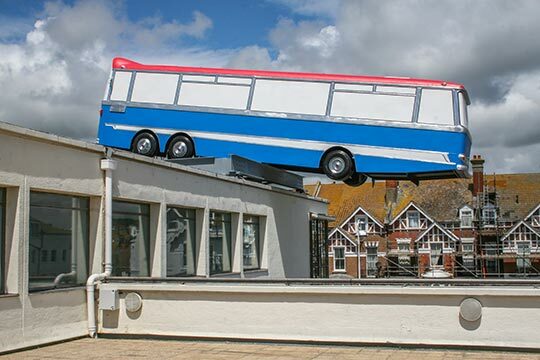 Richard Wilson RA discusses his rooftop sculpture commission at the De La Warr Pavilion in Bexhill On Sea, summer 2012.